A new package of measures to boost the North's tourism industry and encourage British families to visit the region over the Easter break has been welcomed. The Prime Minister today announced £1million in new funding to launch a marketing campaign, co-ordinated by VisitEngland, encouraging families to spend their holidays in the region. 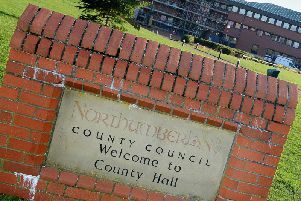 Jude Leitch, director of Northumberland Tourism, said: "Recent stormy weather has not only had an adverse effect on some of Northumberland's tourism businesses and damaged some key infrastructure, it has also caused a perception in other parts of the country that visitors shouldn't come to the North of England. "Of course this couldn't be further from the truth. Northumberland is ready right now to welcome visitors and show off our world class attractions, unique local food and spectacular landscapes. "We welcome this announcement which will help support Northumberland's second largest industry to continue to prosper." The new funding builds on the Government’s £10million programme to grow tourism in the north, a new £4million Holidays at Home are GREAT Campaign and advertising space worth £500,000 which has been made available at Heathrow to promote flood-affected areas. The Government's support comes after some businesses in affected areas reported a drop in bookings of up to 60 per cent. Today's announcement comes ahead of a visit to Cumbria and Lancashire, where David Cameron will witness first-hand how government investment is already helping businesses affected by December’s floods get back on their feet. Mr Cameron said: "From York Minster to Honister Mine, Carlisle Castle to the Leeds Armories, the North has some of the most iconic tourist attractions the UK has to offer. So it is absolutely right that we do everything we can to make sure these businesses feel supported and ready to receive visitors. "The measures we've announced today are an important step, showcasing the best the region’s tourist industry has to offer while helping one of its key attractions in the Lake District National Park get back on its feet." The new £1million DCMS-funded advertising campaign will launch on February 9, to coincide with the run-up to the February half-term and Easter holidays and will help showcase the world-leading attractions and stunning countryside Northumberland, Yorkshire, Cumbria and Lancashire have to offer. The campaign will target audiences in London and the South East, using London Underground posters, national press, social media and radio as well as key markets in Scotland and the North. Culture Secretary John Whittingdale said: "We are ensuring that our tourism businesses are given as much support as possible as they recover from the recent floods. "The message is clear – the region is full of world-class attractions that are very much open for business. This campaign will showcase the many fantastic places that are ready to welcome visitors in the coming weeks and months."